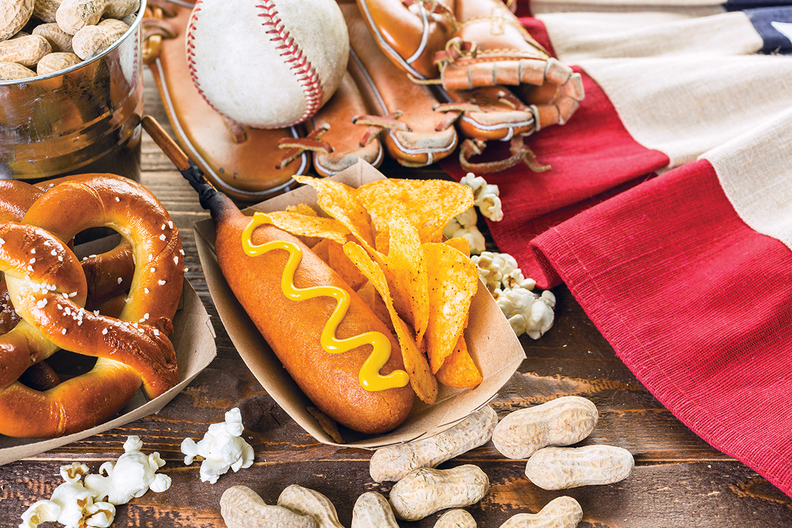 If you're headed to an MLB game, maybe check health department inspection reports before digging in to the ballpark chow. The Los Angeles Dodgers may be riding high with the best record in Major League Baseball so far this season, but when it comes to food safety they're in the basement. When Sports Illustrated recently surveyed 2017 local health department inspection reports for every MLB stadium, Dodger Stadium came in 25th out of 28 (records weren't released for two stadiums, in Detroit and Cleveland). In all, Dodger Stadium—whose most famous culinary offering is the Dodger Dog—racked up 247 violations, including 60 that were critical. Anything that broke a municipality's food code was considered a violation, and a critical violation was one linked to the spread of foodborne illness. SI came up with a food-safety rating system that factored in all violations, with critical violations multiplied by two, and then divided by the number of concessions inspected. The only stadiums scoring worse than the Blue Crew in food safety were those for the Baltimore Orioles, Oakland Athletics and Tampa Bay Rays. Food purveyors in the Rays' stadium struck out with 105 critical violations ranging from "observed presence of live insects to black mold accumulating inside an ice bin," according to Sports Illustrated. The company that runs concessions for the Rays at Tropicana Field was quick to respond to the SI report. "We take this report very seriously and have already cured each of the violations in the SI article," Centerplate said in a statement. As for the safest baseball chow, head to the Northwest, where the Seattle Mariners' Safeco Field garnered only five total violations and just one critical violation (for food held at an improper temperature). Across the country, Fenway Park, home to the Boston Red Sox, scored a second place in food safety, with 30 total violations and two critical ones.